Senate Democrats forced a one-week delay Tuesday in the Judiciary Committee vote on William Barr’s nomination to become attorney general so they could gather more information about how he planned to oversee the investigation of Russian interference in the 2016 election. The chairman, Sen. Lindsey Graham, R-S.C., said Democrats’ had legitimate questions about whether Barr’s broad views of presidential power would lead to his keeping parts of special counsel Robert Mueller’s anticipated final report secret. The delay is relatively routine for nominees and Graham still expects Barr to be confirmed. Barr has told senators that he would release as much detail as possible about Mueller’s findings. But Barr also had cited a Justice Department policy to avoid publishing derogatory information about people who aren’t charged criminally. 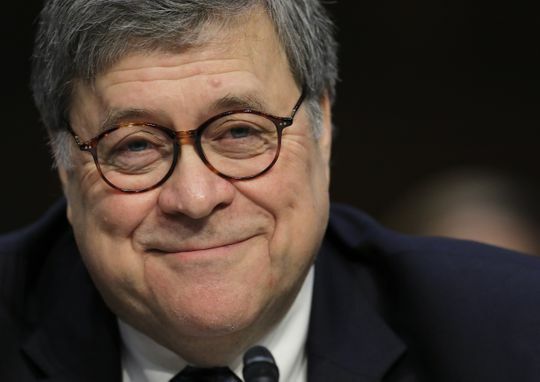 The department’s Office of Legal Counsel has an opinion that a sitting president can’t be indicted, and several Democrats worried that the combination of those two things could lead Barr to keep confidential parts of the report dealing with President Donald Trump.